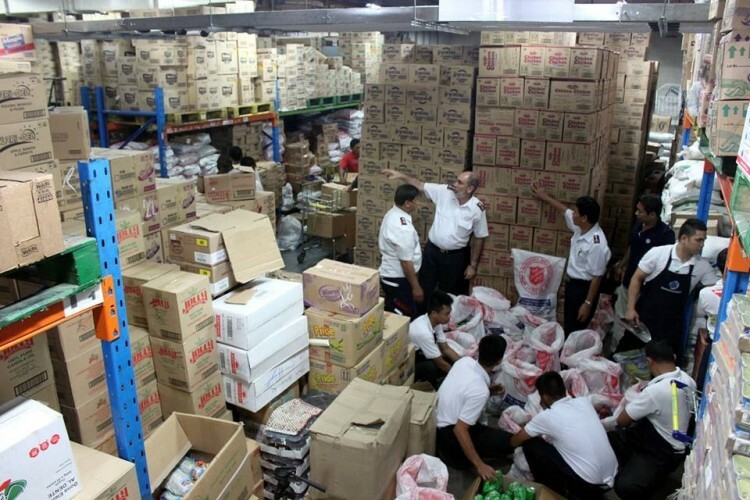 London, England (November 14, 2013) – Salvation Army in The Philippines is ready to assist the many thousands of people affected by Typhoon Haiyan. Territorial Commander Colonel Wayne Maxwell told International Headquarters representatives that Salvation Army teams are currently preparing to support the relief effort in the worst-hit areas and are addressing the logistics challenges of their travel and of the transportation of supplies. Seven tons of food – rice and canned goods – have already been prepared for distribution in 18-kilogram packages. Transportation is a huge challenge but The Salvation Army is in a priority queue for government approval for its goods to be transported to the region in and around the city of Tacloban. Salvation Army staff are already on their way to take part in the relief effort. The region’s geography is complicating any response, with the worst-hit area being made up of several islands.